Anna Bolton | Greene County News At left, Greene County Prosecutor Stephen K. Haller, along with family members of William “Skip” Brown and Sherri Mendenhall, Defense Attorney Michael Pentecost, defendant Bret Merrick, Defense Attorney Dennis Lieberman, Assistant Prosecutors David Hayes and Cheri Stout, Detective Kelly Edwards and Judge Michael A. Buckwalter listen as John Skinner, Mendenhall’s oldest son, speaks in open court Sept. 12. XENIA — In a courtroom packed with family members of the late William “Skip” Brown and Sherri Mendenhall of Yellow Springs, two brothers took responsibility for their murders, one year and eight months later. With a constant smirk on his face, Dustin Merrick, 27, pleaded guilty Sept. 12 to two counts of aggravated murder with firearms specifications, two counts of murder, two counts of aggravated burglary, felonious assault, tampering with evidence and obstructing justice. Judge Michael A. Buckwalter sentenced him in Common Pleas to life imprisonment without parole, plus six years for firearms specifications. 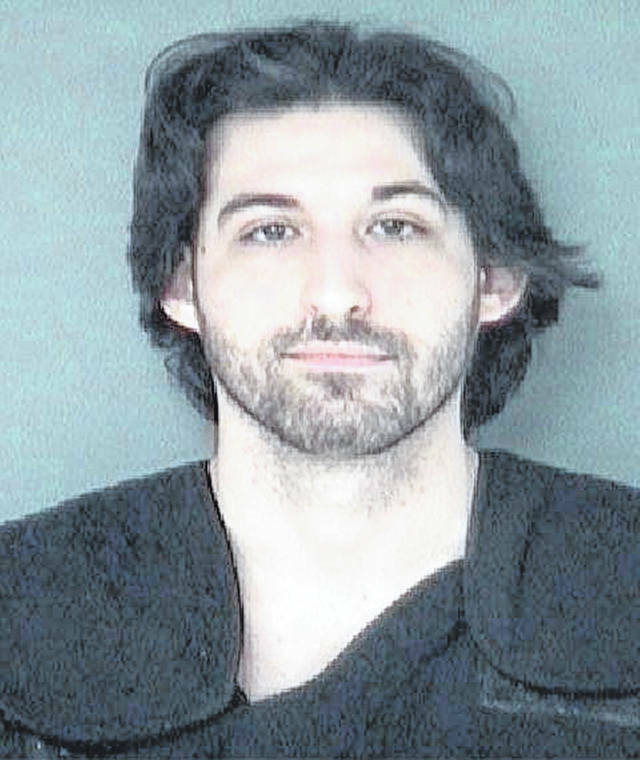 Bret Merrick, 25, pleaded guilty to two counts of involuntary manslaughter with a firearm specification. He was sentenced to 25 years in prison. The pleas came halfway through the second week of jury selection for the capital trial of Dustin Merrick. Bret Merrick, who was originally charged with aggravated murder, murder, aggravated burglary, felonious assault and tampering with evidence, also forwent a trial, his which was scheduled to begin in October. During the hearing, he agreed that it was correct that he did not shoot either of the victims. In pleading guilty, the two avoided the risk of the death penalty. “Dustin Merrick will spend the rest of his life in prison with no chance of parole or early release. He will die in prison,” an official release from the prosecutor’s office stated. “… You will never be getting out of prison again, do you understand that?” Buckwalter asked Dustin Merrick. Both brothers waived their rights to trial and rights to appeal, each stating that they were entering their pleas willingly, knowingly, and without coercion of others. According to the prosecutor’s office, Dustin Merrick murdered Brown and Mendenhall during the early morning hours of Jan. 15, 2017 at their residence outside of Yellow Springs. Dustin Merrick was accompanied by his brother, Bret Merrick. 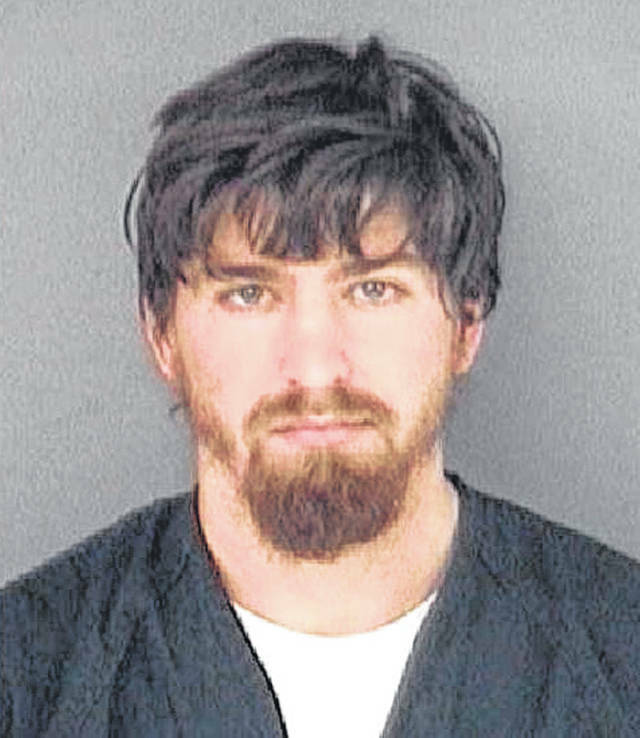 While it was still dark, Dustin Merrick sneaked into Brown’s apartment and shot him to death in his bedroom. Mendenhall, in the apartment next door, woke up to the sounds of the violence. Dustin Merrick shot her in order to silence her as a potential witness, according to the prosecutor’s office. Bret Merrick, the prosecutor said, accompanied his brother and took no steps to prevent Dustin Merrick from committing the crimes. Prosecutor Stephen K. Haller said his office could not find any real motive for the crimes. Prior to their sentencings, the brothers had the chance to speak in open court. His younger brother, contrastingly, seemed to express remorse. Family members of the victims also read statements. Larry Brown, Skip Brown’s father, spoke first. Bret Merrick, sitting directly in front of him, with his head down, gently nodded. https://www.fairborndailyherald.com/wp-content/uploads/sites/50/2018/09/web1_PANOCourt.jpgAnna Bolton | Greene County News At left, Greene County Prosecutor Stephen K. Haller, along with family members of William “Skip” Brown and Sherri Mendenhall, Defense Attorney Michael Pentecost, defendant Bret Merrick, Defense Attorney Dennis Lieberman, Assistant Prosecutors David Hayes and Cheri Stout, Detective Kelly Edwards and Judge Michael A. Buckwalter listen as John Skinner, Mendenhall’s oldest son, speaks in open court Sept. 12.